As you know, your industry has to meet different standards. 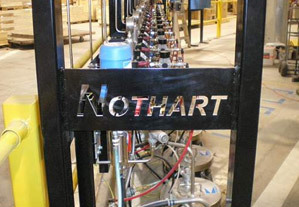 At Nothart we are proud to represent the equipment manufactures that hold this high standard in Vacuum, Positive displacement Blowers, Special alloy liquid pumps, powder conduit connectors, Mag Drive pumps, Air Curtains and Mixers. We also have high tolerance flow meters, and specialty Mixers. Please give us a call.